There are lots of high traffic spaces in the home that are perfect for water resistant flooring. Don’t worry about spilling water in the kitchen or in the bathroom. The best part about having water resistant flooring is the extra sleep you’ll get at night when you don’t have to worry about how much money you’ll spend on floor damage. Rest easy knowing that if a spill were to occur your floor can definitely handle it. Water resistant flooring actually is less expensive than solid hardwood flooring. If you have a home improvement budget for your home, then you should also have a set amount budgeted for flooring. If you invest in water resistant flooring you won’t have to worry about paying for water damage later on. It’s a great way to save money which you can then use on other home improvement projects. It’s a win-win situation for everyone! Just because you choose water resistant flooring doesn’t mean you’ll have to choose the same looking floor as everyone else. 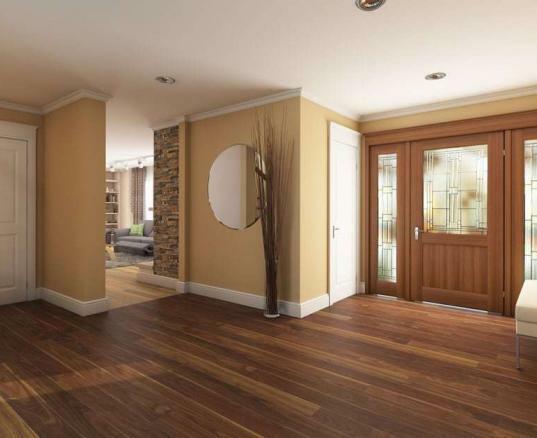 Laminate flooring and vinyl luxury plank flooring are both considered resistant to water. These two types of flooring can come in different colors and styles. You can choose the style and color that best fits the overall design of your home. Take a look at your furnishings and decide which floor completes the look. You’ll love creating a space that your whole family can enjoy. If you have kids or pets, then you’re going to love owning water resistant flooring. We all know that when it comes to kid you can never predict what mess they’re going to make next. The best way you can give yourself some reassurance is by choosing a more durable flooring. This is also a good way to go if you have pets running around. When you’re created a home for your family you’ll want to make sure it accommodates everyone. Installing water resistant flooring is the best way to do that. These are all things we know homeowners will love about water resistant flooring. At ReallyCheapFloors.com, we offer several different kinds of flooring that will be perfect for you. Check out our laminate flooring options to see what colors and trends you want to add to your home.